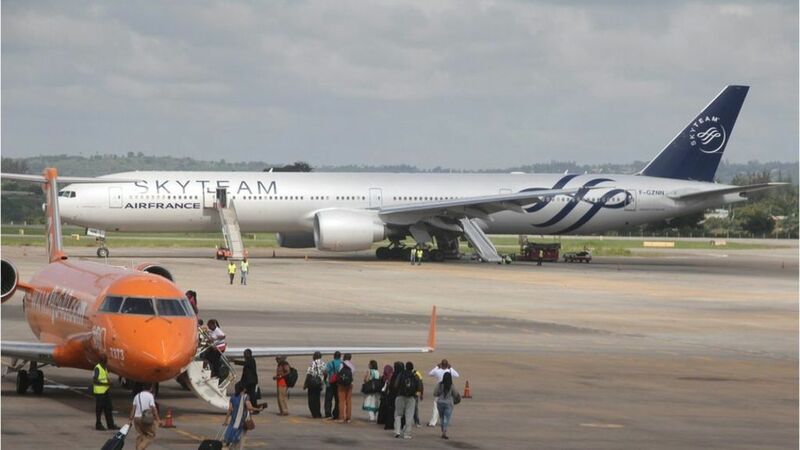 An Air France flight #AF463 from Mauritius to Paris CDG has been forced to make an emergency landing in Kenya after a suspicious package was found on board. The pilots of the Boeing 777 (reg. F-GZNN) requested to land at Moi International Airport in Mombasa after the package was discovered in the toilet. Aircraft landed normally at 00.36 AM local time. Investigation ongoing. Passengers taken care of by station staff. According to Kenya Airports Authority, the package was a bomb and has been taken to safe destination for detonation in the morning. 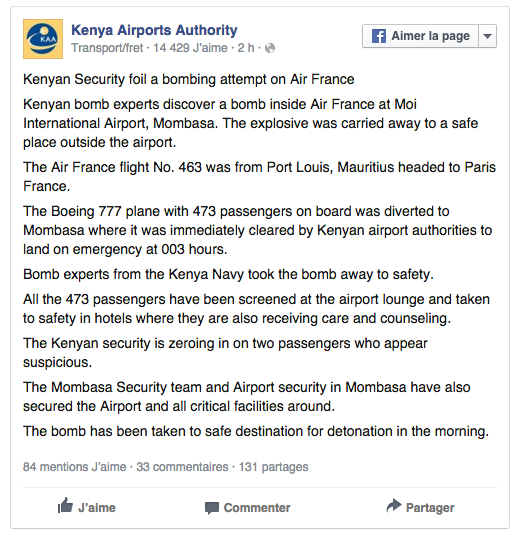 Kenyan security service is examining 2 suspicious passengers from Air France #AF463. The plane carrying 459 passengers and 14 crew members has been evacuated.